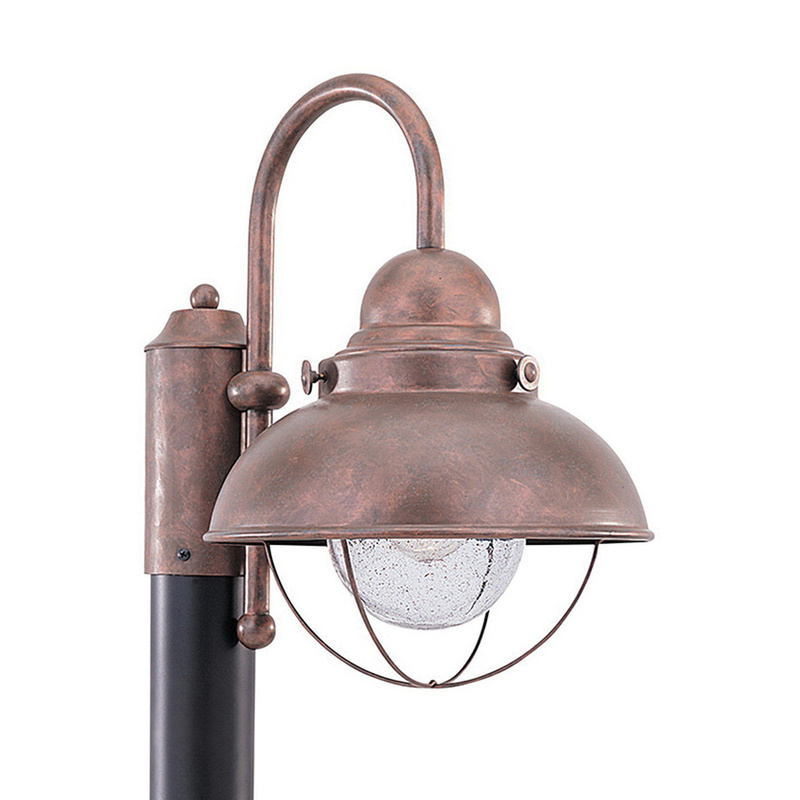 Sea Gull Lighting Transitional style 100-Watt outdoor post lantern in weathered copper finish, features aluminum construction. The clear seeded glass reflector ensures uniform light distribution. This lantern supports one 100-Watt A19 medium lamp. It measures 11-1/4-Inch Dia x 15-3/4-Inch. This post mountable lantern comes with 6.5-Inch lead wire for easy installation. Lantern is UL listed and meets Title 24 Energy Efficiency standards.